Alford, Robert and Roger Friedland. 1985. Powers of Theory: Capitalism, the State, and Democracy. Cambridge: Cambridge University Press. Block, Fred L. 1977. “The Ruling Class Does Not Rule: Notes on the Marxist Theory of the State” in Socialist Review 33:6-27. Bourdieu, Pierre. 1984a. Distinction: a Social Critique of the Judgement of Taste. Cambridge, MA: Harvard University Press. Cox, Robert. 1987. Production, Power, and World Order: Social Forces in the Making of History. New York: Columbia University Press. Dahl, Robert. 1961. Who Governs? Democracy and Power in an American City. New Haven: Yale University Press. De Tocqueville, Alexis. Democracy in America. Anchor Books edition, 1969. Domhoff, William G. 1998. Who Rules America? Power and Politics in the Year 2000, Third Edition. Mountain View: Mayfield Publishing Company. Fukuyama, Francis. 1989. “The End of History?” in The National Interest (Summer): 3-18. Gramsci, Antonio 1971. Selections From the Prison Notebooks. London: New Left Books. Hegel, Georg Wilhelm Friedrich. 1830/1956. The Philosophy of History. New York: Dover Publications. Hirst, P and G. Thompson, 1996, “Globalization: A Necessary Myth?” in Hirst and Thompson, Globalization in Question, Cambridge: Polity Press, 1-17. Hobbes, Thomas.1998. Leviathan, ed. by J.C.A. Gaskin, Oxford: OUP. Huntington, Samuel. 1993. The Third Wave: Democratization in the Later Twentieth Century. Oklahoma: University of Oklahoma Press. Jessop, Bob. 1990. State Theory: Putting the Capitalist State in Its Place, Cambridge: Polity Press. Jessop, Bob. 2002. Globalization and the National State, in S. Aaronwitz and P. Bratsis, ed., Rethinking the State: Miliband, Poulantzas and State Theory, Minneapolis: University of Minnesota Press, pp. 185-220. Keck, Margaret and Kathryn Sikkink. 1998. Activists Beyond Borders. Cornell University Press. Marx, Karl. 1848. “The Communist Manifesto” in Karl Marx: Selected Writings (ed.) David McLellan (1977). New York: Oxford University Press. Miliband, Ralph. 1983 . “The Capitalist State: Two Exchanges with Nicos Poulantzas,” in Class Power and State Power. London: Verso. Pp. 26-35. Mills, John. 1972. On Liberty. Edited by H. B. Acton. London: Everyman. Mosca, Gaetano. 1896/1939. The Ruling Class. New York: McGraw-Hill. Pareto, Vilfredo. 1901/1968. The Rise and Fall of Elites. New Jersey: Bedminister Press. Poulantzas, Nicos. 1969. “The Problem of the Capitalist State.” New Left Review 58: 67 -78. Reich, Robert. 1991. The Work of Nations: Preparing Ourselves for 21st Century Capitalism. New York: Alfred A. Knopf. Robinson, William I. 2004. A Theory of Global Capitalism: Production, Class and State in a Transnational World. Baltimore: Johns Hopkins University Press. Schumpeter, Joseph A. 1943. Capitalism, Socialism, and Democracy. New York: Harper and Row. Smith, J, Chatfied, C, and Pagnucco, R. 1997. Transnational Social Movements and Politics and World Politics: Solidarity Beyond State. Syracuse: Syracuse University Press. ISNAD Sandhu, Amandeep . "Political Sociology in Light of Globalization: New Perspectives and Future Directions". 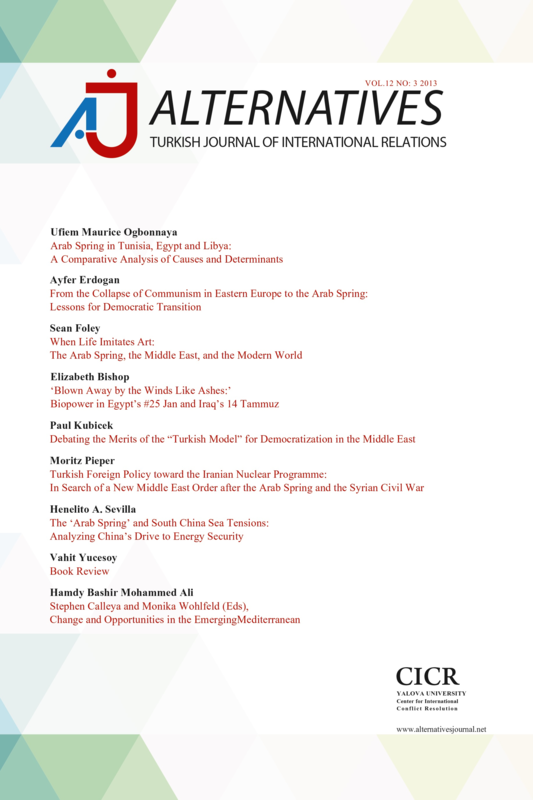 Alternatives: Turkish Journal of International Relations 5 / 1&2 (June 2006): 1-19.